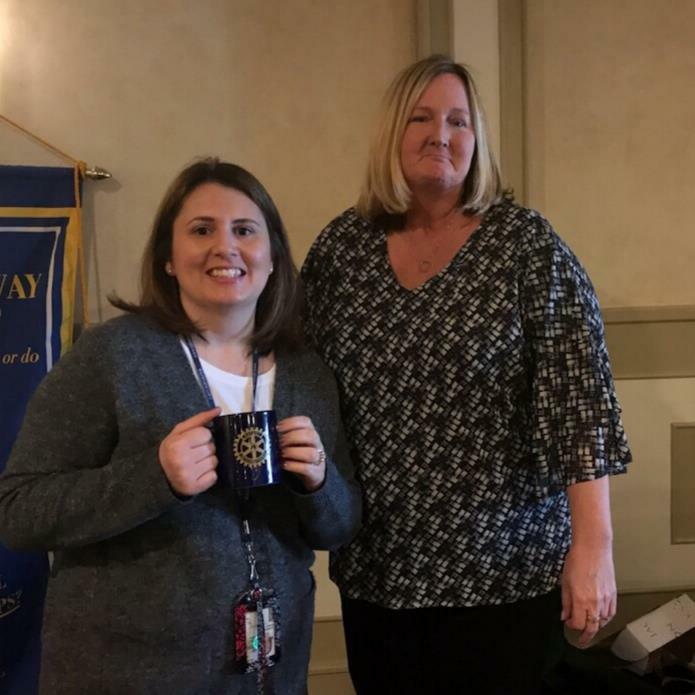 Our speaker this past week was Kara Johantgen from the Nothern Monmouth Division of Child Protection and Permanancy Office. This entity deals with children who are placed in foster care or who are adopted. These children, especially siblings and teens, need nurturing families who will help them heal and grow as they were probably subjected to abuse and/or neglect. One of the main goals of this agency is to keep families unified. When a child is removed from a family home, they work with the biological parents to keep that child's stay in foster care as brief as possible. Since Monmouth County has no facilities for group care, a child is placed with a foster family the same day as the removal and sometimes the placement can be long term or lead to adoption and some stays can be as brief as one night. At the end of 2018, there were 220 children in Monmouth County in foster care, down from 300 the previous year. A goal of placement is to keep children in their home community and school system. To become a foster parent, one must have a 27-hour training course, a home inspection and attend an information session. There is always a need for foster families. A foster parent must be at least 18 years of age, single, married, in a domestic partnership or a civil union. You can have your own children or be parenting for the first time.